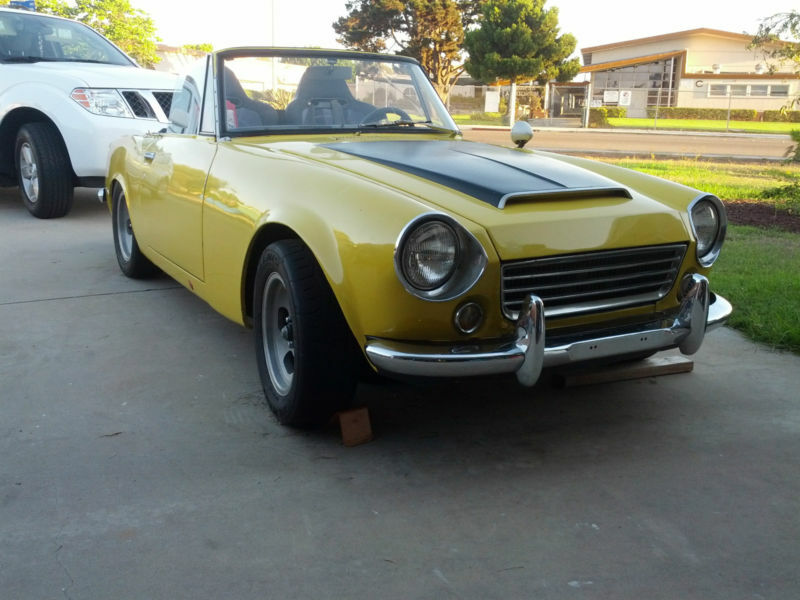 The Datsun Fairlady was a small roadster from parent company Nissan, produced from 1959-1970, and marketed as the Datsun Sports or Datsun 1600 Roadster in regions outside of Japan. It was however a fantastic alternative to 2-seat roadsters from Britain and Italy and are quite affordable today. 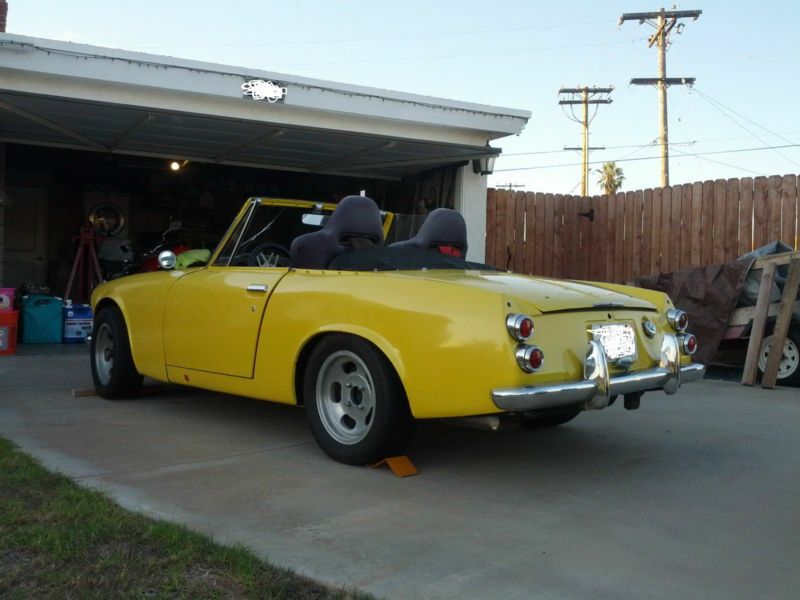 This 1966 Datsun Fairlady 1600 roadster is equipped wtih a FJ20ET motor swap, located in Imperial Beach, CA and currently bidding on ebay for $3,000 with 3 days to go. This Datsun is a serious project, with rusty fenders and trunk, a cracked windshield and an issue with engine torque/power that the seller blames on the carbs. Anyone who has worked on a classic knows that its much more likely to be spark. Either way, time and money is needed to get it running and back on the road. 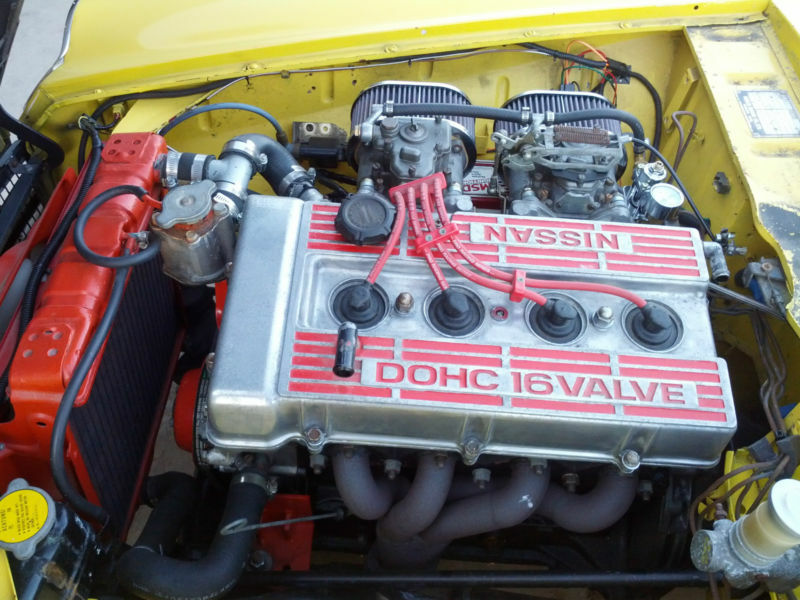 The original 1.6 liter inline-4 has been replaced with a 2.0 liter FJ20ET engine from a 1980s Nissan Skyline. For some strange reason the turbocharger and fuel injection has been removed and it is now fed by two weber carburetors. It does give the engine bay a decidedly more vintage look - but turbocharged engines perform best under boost and we hope the builder replaced the cam shaft and increased the stock 8:1 compression ratio with head/piston modifications. In current configuration it could make anything from 100-160 horsepower, making it an improvement over the stock engine regardless of its current state of tune. 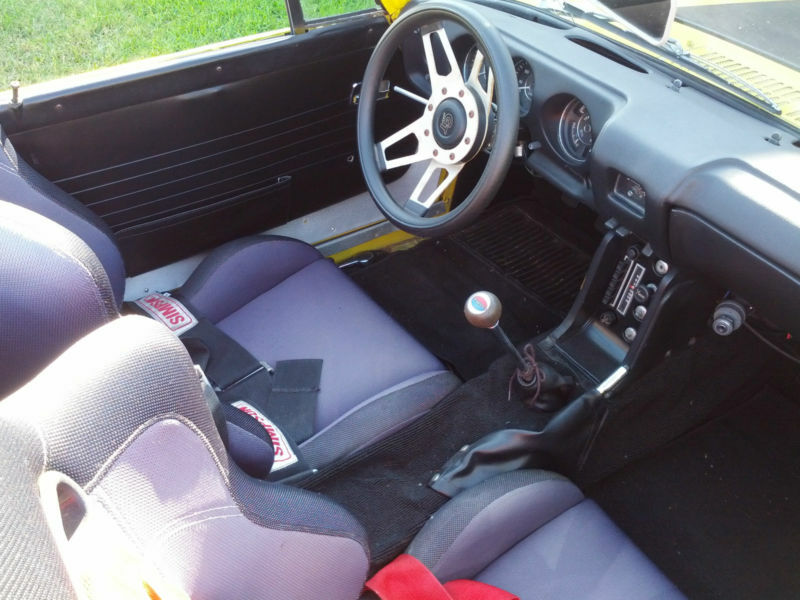 The inside of this Datsun has had its vintage cool low back bucket seats replaced with a set of aftermarket boy-racer looking seats and 5-pt harness. These would be great for a track car, but if you are planning on using this for a street car, we suggest finding a set of stock or stock-looking seats. The SP311 generation Fairlady has a shape that instantly identifies it as a classic - and we can forgive some of the problems with this car by just staring at those tail lights. However, the best thing about this car currently is the bigger engine and the low price...but if bidding goes much higher, we'd look for another one.